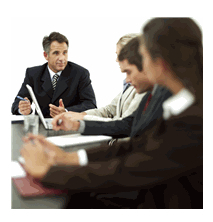 Colonial Beach has a number of conference center facilities available for your next business function. The Town also offers plenty of lodging options, activities and transportation to help make your event a success. What could be better than a beachfront setting? The former Masonic Lodge at the corner of Washington and Colonial is being transformed into an event facility. 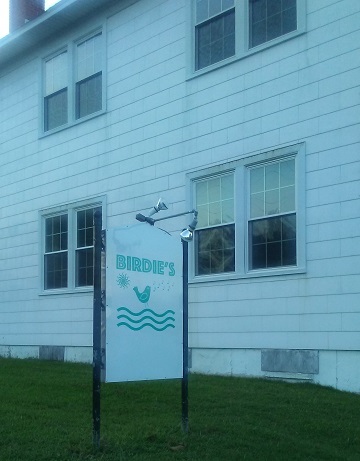 Birdie's held their first major event on November 11, 2018 - a fundraiser for local shelter animals. The Parlour at Colonial Beach Brewing is ready for your private event. Available for $250 guaranteed drink minimum in 4-hour blocks anytime from Mon-Wed & Sun, and $350 minimum in 4-hour blocks until 8pm Thu-Sat (includes one beertender/taxes not included). $25 cleaning fee not included. Beers, soft drinks and waters offered at normal menu price. Contact colonialbeachbrewing@gmail.com to reserve your spot. CBB does not provide food catering but they can provide recommendations if you're interested. 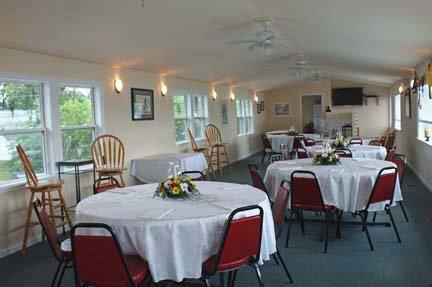 The Colonial Beach Community Center is available for various functions such as conferences and meetings. It is located at 717 Marshall Avenue. 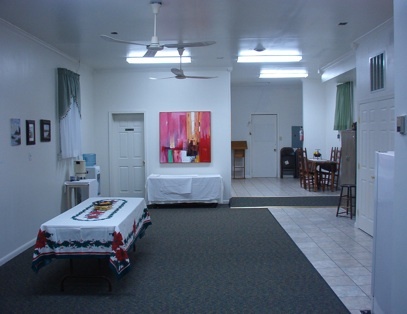 The Colonial Plaza B&B has meeting space and overnight accommodations for up to 20. The Bonus Room at 108 Hawthorn is an updated facility in the former Westmoreland Furniture building. There's enough space for up to 75 meeting participants for classes, conferences and meetings. This location also has a separate conference room with space for 12 and the rates are reasonable. NOTE: This facility is currently being used as the offices of Colonial Beach Playhouse. The Riverboat at 301 Beach Terrace has conference center space available. There is a large room on the second floor and the main floor dining area is also available for private functions. I have attended successful business meetings at this location. The water view is a real plus! Contact them at 804-224-7055. The Quarterdeck Lounge is located on the second floor above the Lighthouse Restaurant and has a capacity of 55 persons. Hunan Diner at 422 Washington Ave. has an adjoining room with a 60-person capacity available for special functions as does Wilkerson's Seafood Restaurant on McKinney Ave. 804-224-7177. The former Bank of Lancaster building in the Beachgate Shopping Center offers a meeting room with adjacent kitchen facilities which can be booked. The bank's phone number is 804-224-0033. The Placid Bay Estates clubhouse and pavilion is available for new homeowners, current homeowners, renters, and the general public. The Building, Deck, and Pavilion can accommodate most large groups. Please contact Rachel Van Houten at 804-224-2650(h) or 804-246-6249(c)(texting ok), or email your request to rethvh@verizon.net Please put in subject line "PBE CC Rental Request" to request a Rental information packet & for information on Availability and Requirements for Rental of Complex. After a long day of meetings, there are plenty of restaurants to choose from for a nice dinner. Many area eateries also offer catering service, in the event that the meeting runs long and food needs to be brought in. Rest assured, our town offers plenty of amenities and support services for business travelers, ensuring a successful visit. Attendees can be encouraged to bring their spouse and family, since there are many fun events taking place here year round, as well as shopping, lots of historical and nature sites and attractions nearby that you won't want to miss! Thanks for considering the Town of Colonial Beach for your next business function!